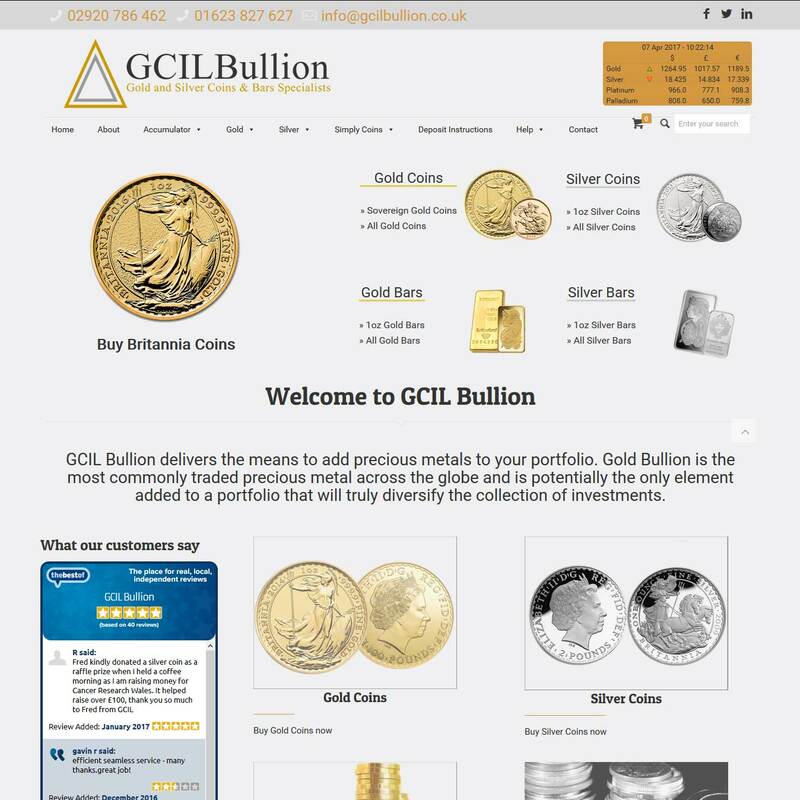 GCIL Bullion offer premium prices for both gold nd silver bars and coins, we can deliver direct or store in one of our secure depositories, which are fully insured by Lloyd’s of London. GCIL (Global Commodity Investments Limited) Bullion are an established investments broker, specializing in precious metals and the use of these metals both as a hedge against economic turmoil and for capital gain. With a well-stocked e-commerce portal and detailed content throughout, GCIL offer a full range of services for metals investment. When doing business with GCIL Bullion - please say you saw them in Bullion.Directory. 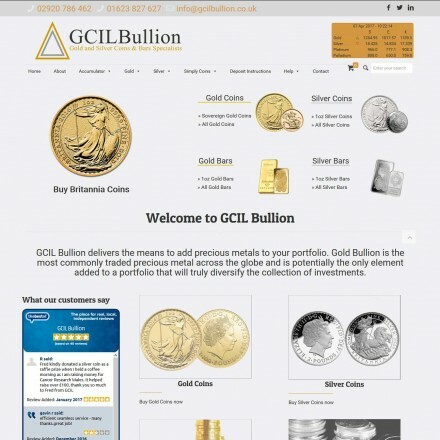 Read or add GCIL Bullion reviews and ratings using the "reviews" tab above. All GCIL Bullion details are believed to be correct at the time of listing. Please report errors here.